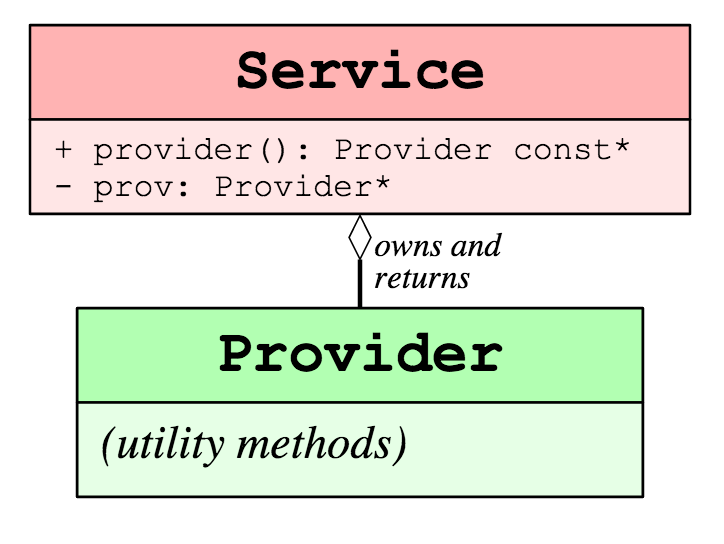 This factorization model allows service providers to be tested without pulling in the art framework, and to be used in art-unaware environments. 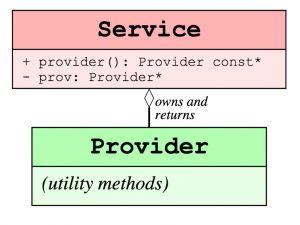 By using service providers, most of the user code should interact only with the provider interface. Obtain the service provider such as geometry, detector-properties, timing, etc. Use it, move it around, pass it to algorithms. Services are provided in the areas of geometry, physical properties, physics simulation and miscellaneous. radiation length, argon temperature, etc. Voxel Calculator helps with computations in the virtual grid. GEANT splits the detector volume into voxels hence the name. G4 Parameters stores the parameters GEANT is configured with. Photon Visibility describes the simulation of the transportation of photons to the optical detectors. Space Charge describes the effect of distortions of TPC’s electric field. Detector Clocks provides a coherent view of times in the event related to the beam trigger. FFT facilitates the application of Fourier transform in simulation of TPC signals and their calibration (e.g. noise reduction). For more information, please see the source for this material Gianluca Petrillo’s slides for algorithms and services from the 2015 LArSoft class and LArSoft Wiki on Writing LArSoft Services.